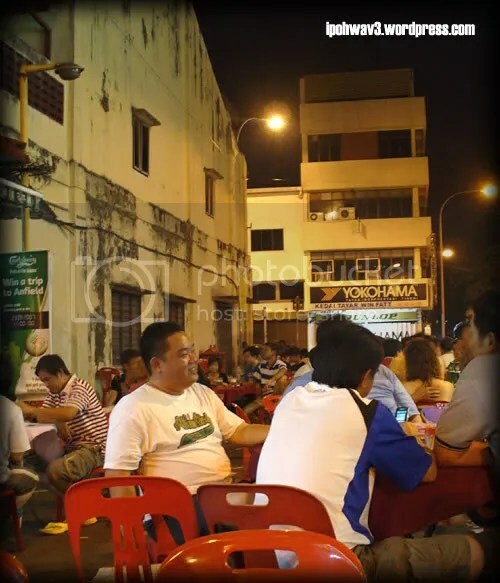 October | 2007 | Ipoh Mali Talak Sombong! That sentence greeted me as I walked into this small cafe in Tesco Extra, Cheras last Saturday. I have no date or anything to do on that particular day, so I decided to explore the newly opened hypermart which is just nearby to my house for brunch. But getting there is no easy task as I’m not driving, so I have to cross a few super busy main roads under the sun. All the sake for food. There’s not much choice here. Big Apple Donuts is facing the main entrance, you won’t miss it. There’s food court on the left. The second row of tenant shops consist of Chicken Rice Shop, a few snacks counters, a waffle kiosk, a western restaurant (something grill which I don’t remember). 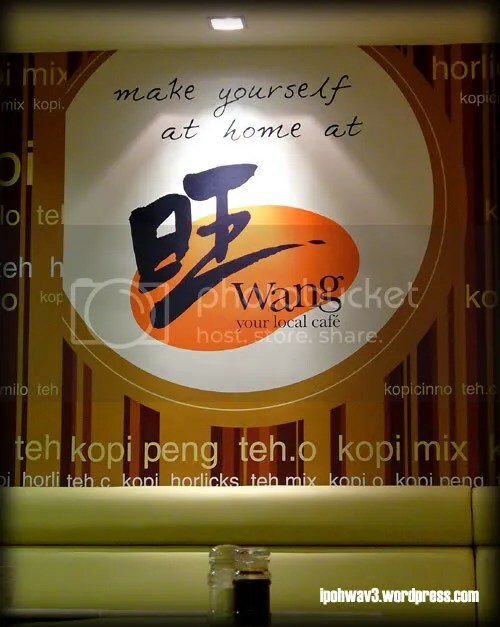 Unlike the usual kopitiam, you have to place your order at the counter and they’ll send your food to your table later. On the menu, however, does not have much to choose from. 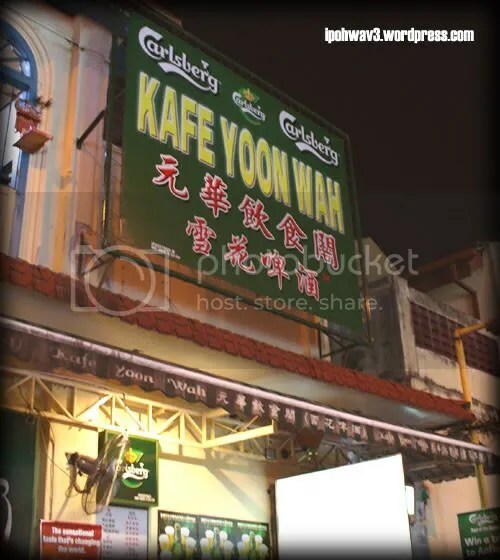 They have the usual half-boiled eggs, toasts, white coffee, milk tea. Main course are limited to nasi lemak with chicken, curry laksa, assam laksa and another stuff which I forgotten. 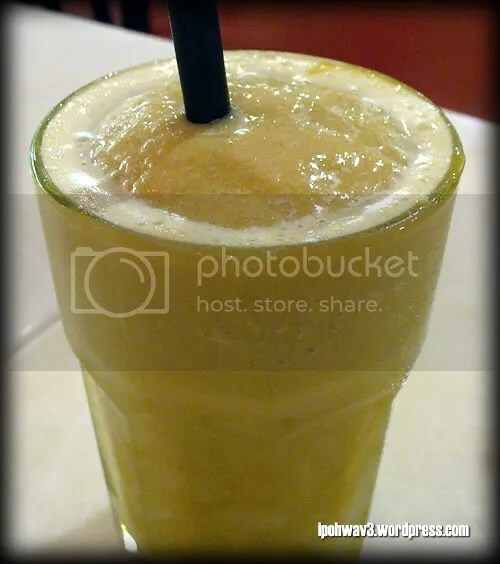 😛 Oh by the way, this is my Ice Blended Horlicks, RM3.00++ if I’m not mistaken. 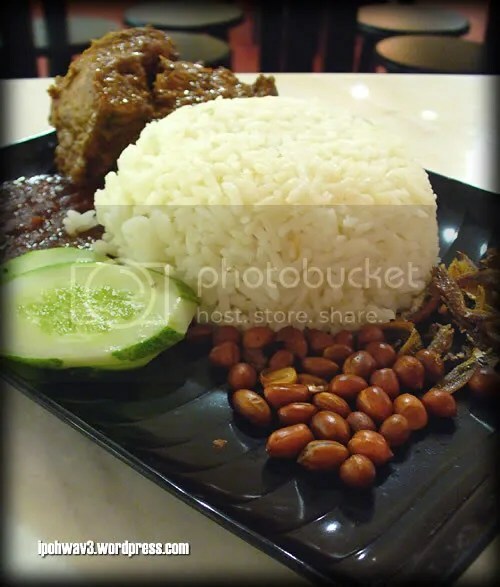 I opt for their nasi lemak with chicken rendang, RM7.00. 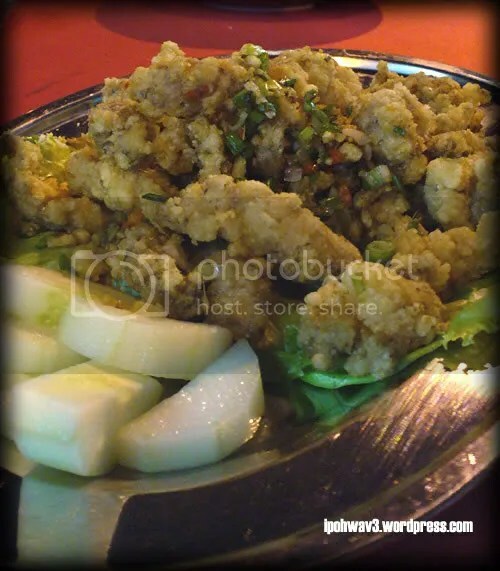 I get the usual condiments; peanuts, fried anchovies, cucumber slices, sambal and two pieces of chicken but no egg! And I only realised that when I almost wipe the plate clean cos busy experimenting on my camera how to get a good shot in low lighting condition. The sambal is sweet and spicy where I thought it’ll be better if spicier but my mistake. The more I have it, the spicier it gets and before long, sets my tongue and lips on fire. 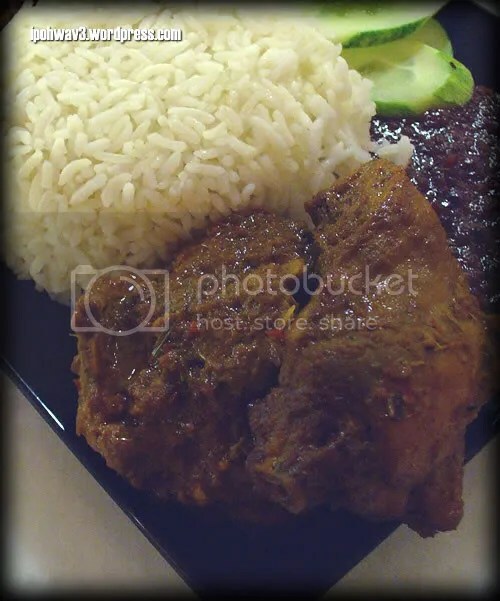 The chicken rendang is pretty good too, very tender but not the fall-off-the-bones type. Food were pretty ok, but I must compliment them on the service. From the moment I approach the counter, Samantha, the waitress gave me a very pleasant smile, wait patiently while I’m thinking what to eat and gracefully request me to take my seat while waiting for my orders to arrive. As I busy myself with my camera, I notice another customer, a lady requested to change the half-boiled eggs as they’re over-boiled, more like hard-boiled than half-boiled. Samantha apologise for the mistake and immediately have it changed for her. This is what I call “service”. Just a short update:1. According to the news I read on Bursa’s, Berjaya Group is going to bring in the fast food franchise, Wendy’s from US somewhere next year. Read more here or go to their official website here. Yay, more choice to choose from! 2. My friend is currently designing the logo, menu and banner for a new nasi lemak cafe in Sri Hartamas called Hot & Spicy Authentic Cafe, opening somewhere next month. From what I see, they’re doing all sorts of nasi lemak with different condiments including the most expensive Nasi Lemak Udang Galah at RM20++. 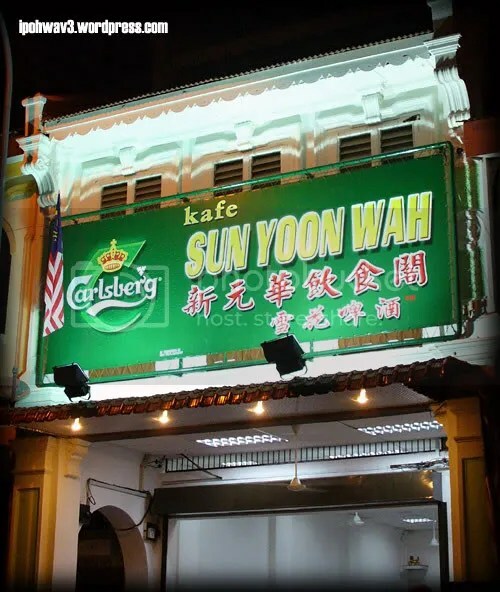 Shall take a break from my usual KL/PJ eateries reviews and post something related to my hometown today. I have been extremely lazy to go out eat when I go back to Ipoh, usually will just cook instant noodle for lunch, nibble on bread and buns and enjoy mom’s cooking for dinner. Hence, that explains my lack of post on Ipoh. Maybe I should change my blog name. When I start to write this post, then only I realised… “What snow beer?? I didn’t even post up the picture of it!” (Err… what am I thinking actually? *sigh*) So, no picture of the beer itself but just to let you know that they chill the beer glass and when the beer is poured in it, it forms a smooth foam on the top. Interesting. 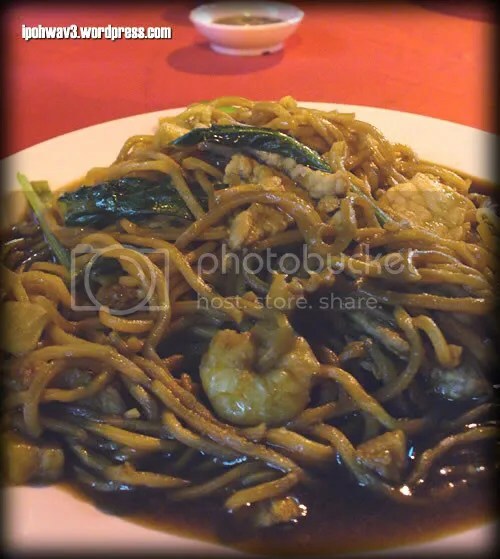 The usual fried yee mee with prawns, pork slices and choy sum (sweet mustard?) Another interesting stuff about this place is… the waiter/waitress uses PDA as substitute to pen and paper to record down your orders. Talking about high tech eh? Salt and pepper mantis prawns. I usually love them done the “kam heong” style but this is equally good too. This is perhaps the best dish for the night. 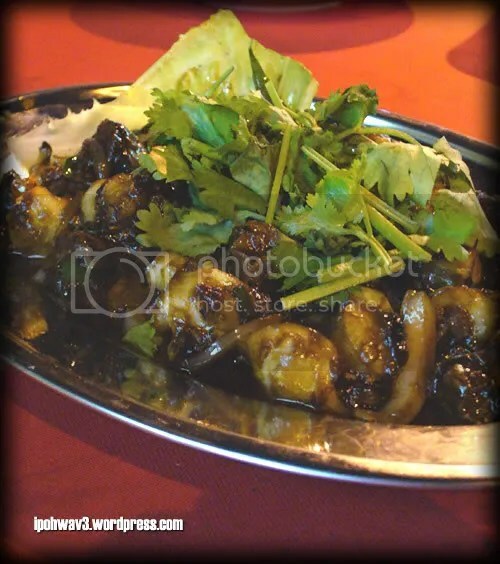 Stir-fry escargots in kam heong style. The meat were kinda tough and rubbery, which I don’t quite like. It also lacked the wok hei (breath of wok) too. 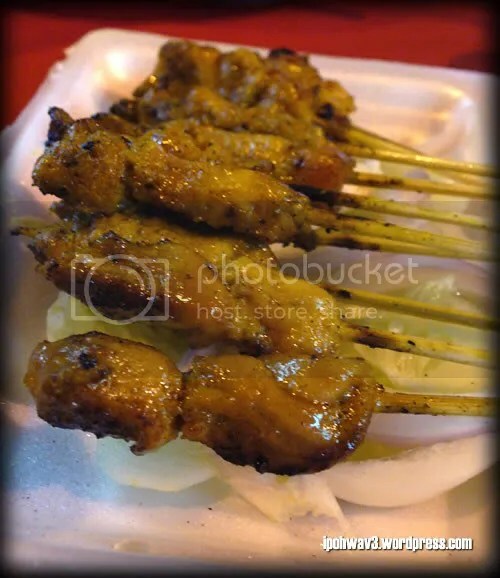 We also ordered some chicken satay from the stall across the street which I think were pretty okay but my friends commented that the chicken meat tastes weird. Hmmmm….? Directions: After cross the bridge of Kinta River, turn right into Jalan Bandar Timah. Pass Kong Heng and Thean Chun on your left and turn right again. Go till the end of the street, turn right and you see a piece of empty land use for car park. Pass the car park and you’ll see the shop.